The Sisters of St. Joseph (CSJs) were established in 1650, in Le Puy, France. 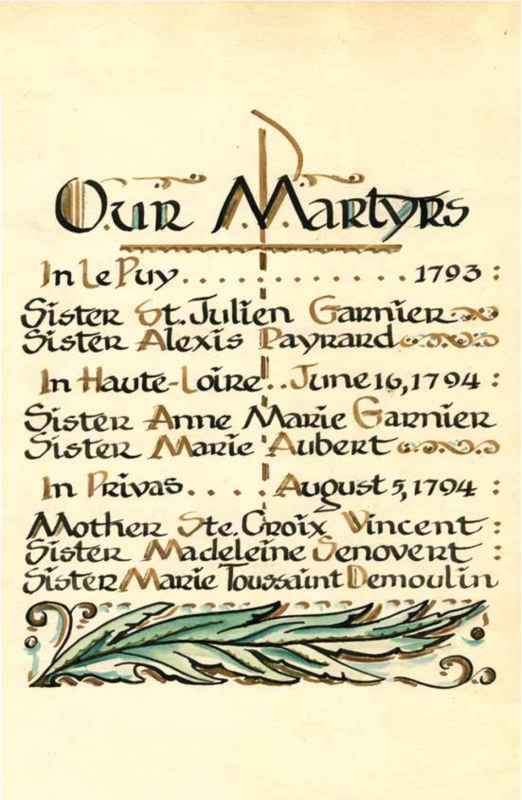 The names of the first Sisters were Francoise Eyraud, Clauda Chastel, Marguerite Burdier, Anna Chalayer, Anna Vey, and Anna Brun. 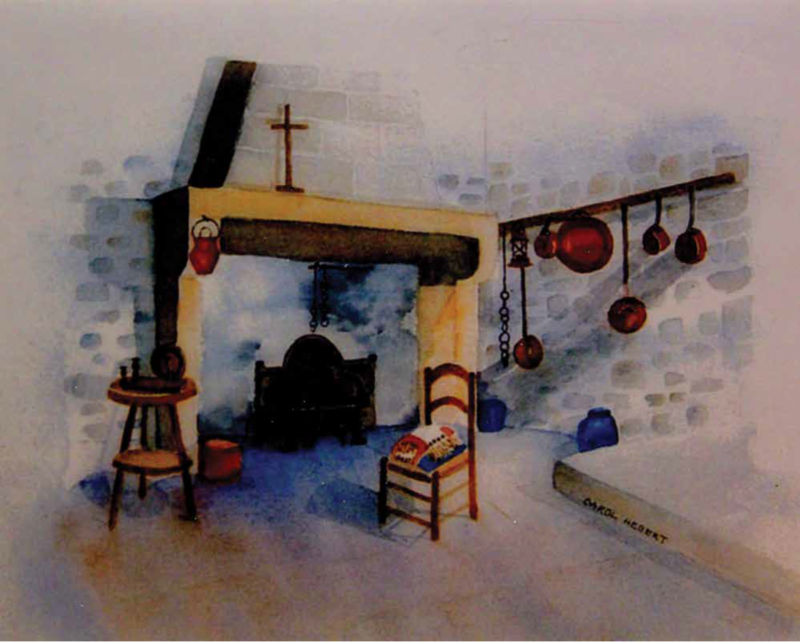 An artist’s depiction of the first kitchen of the CSJs in Le Puy. The Sisters gathered for prayer and conversation around the hearth. 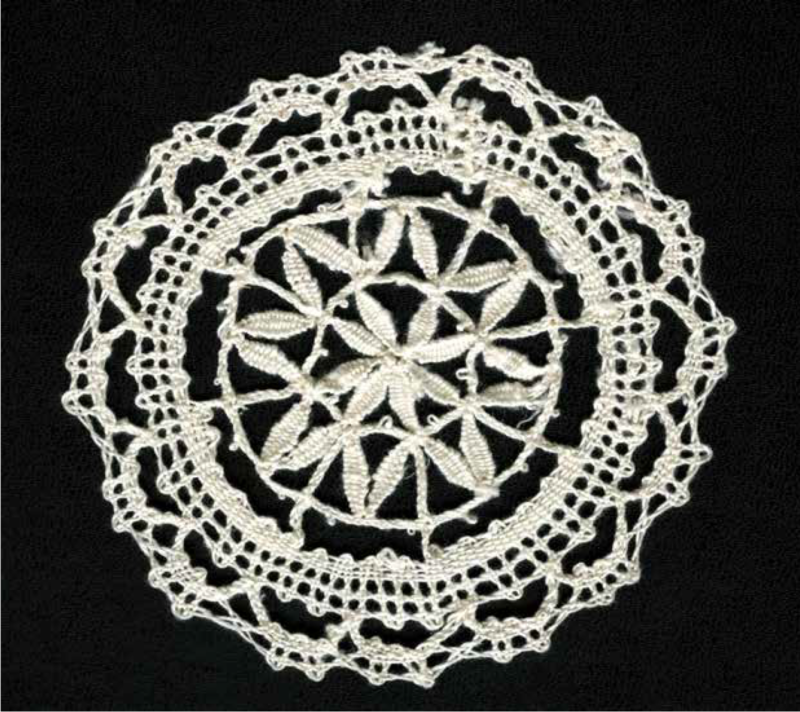 The first CSJs encouraged young women to learn lacemaking as a means of self-support. The Sisters also cared for poor people living in a hospital. At least five CSJs were guillotined during the French Revolution (1789-1799) for refusing to acknowledge the state-controlled Catholic Church. 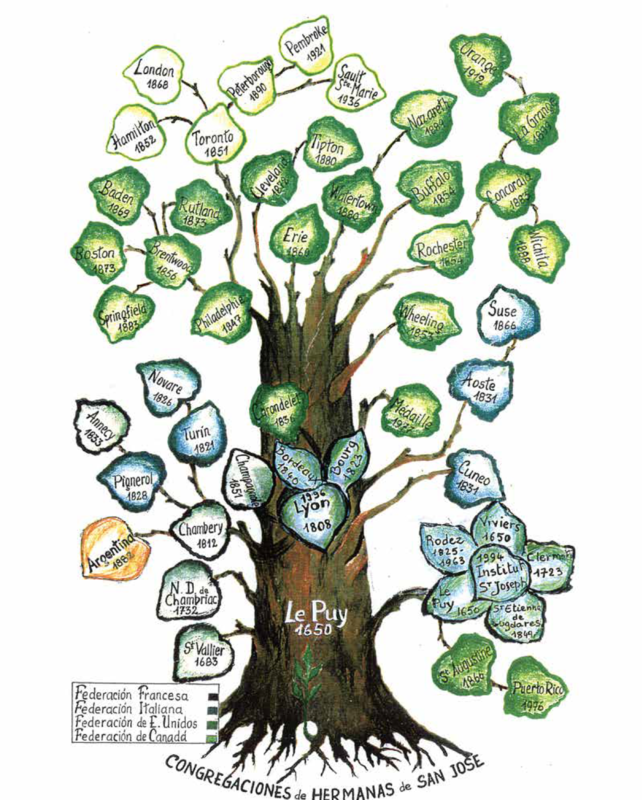 Sister St. John Fonbonne re-established the CSJ community near Lyon, France, in 1808, following the Revolution. 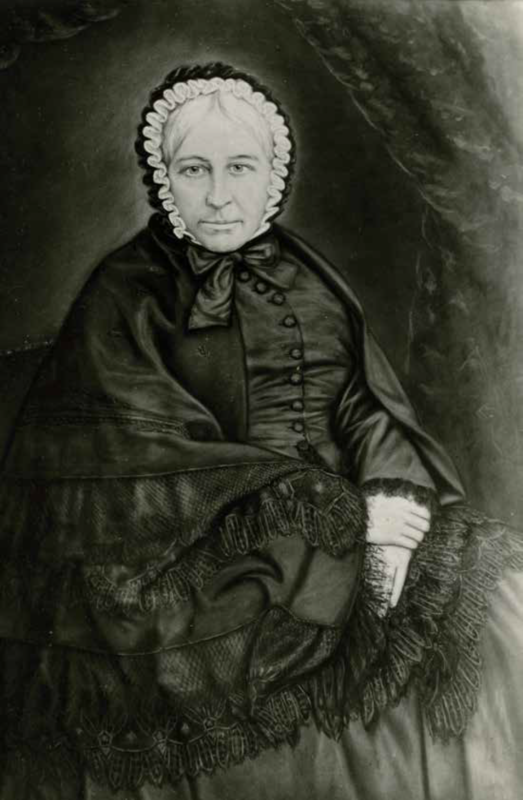 She also founded new communities throughout France and in the United States. 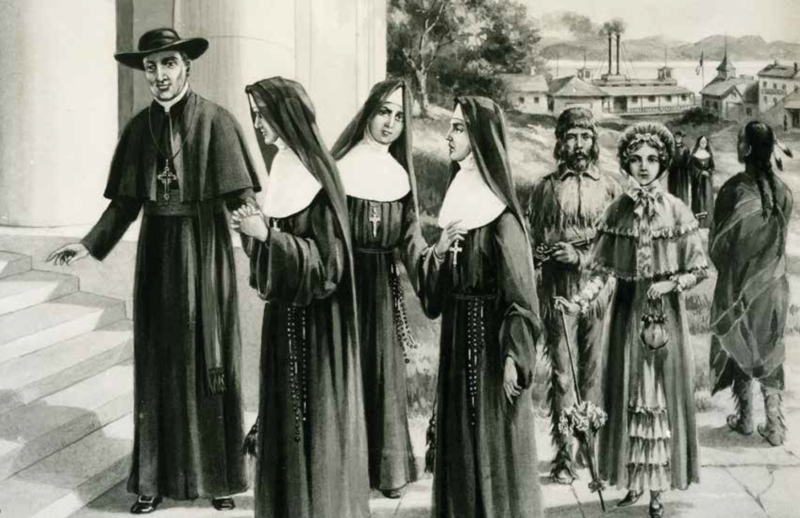 Today the Sisters of St. Joseph serve throughout the world including Africa, Asia, Australia, Europe, and the Americas. 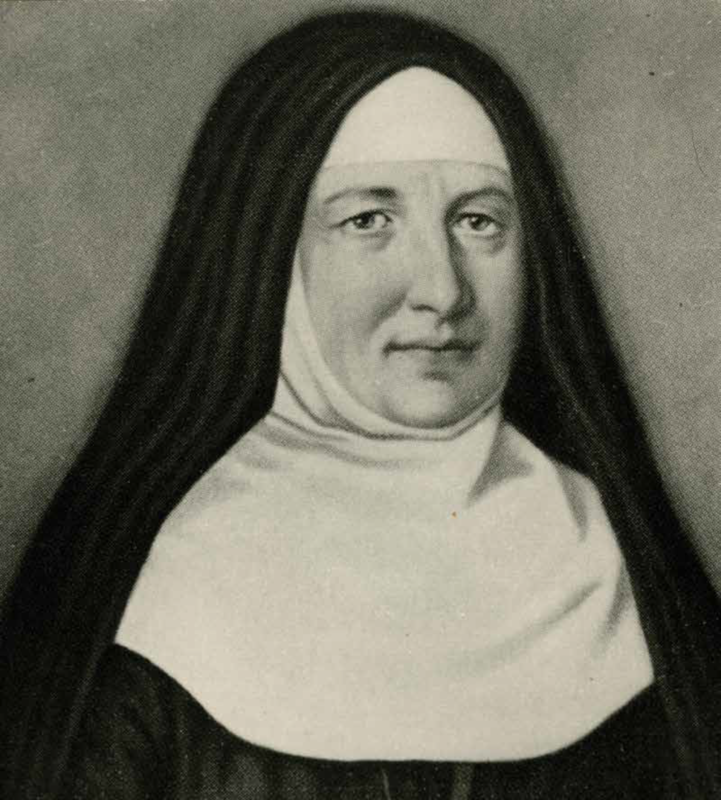 Countess de la Rochejacquelin, a friend of Sister St. John Fontbonne, helped finance the travels of the first CSJs to the United States. 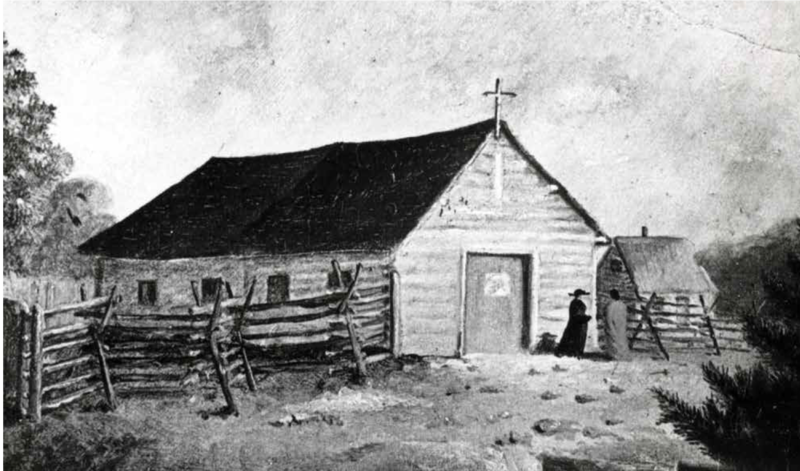 The first six CSJs arrived in the United States at St. Louis, MO on March 25, 1836. Two were nieces of Sister St. John Fontbonne. 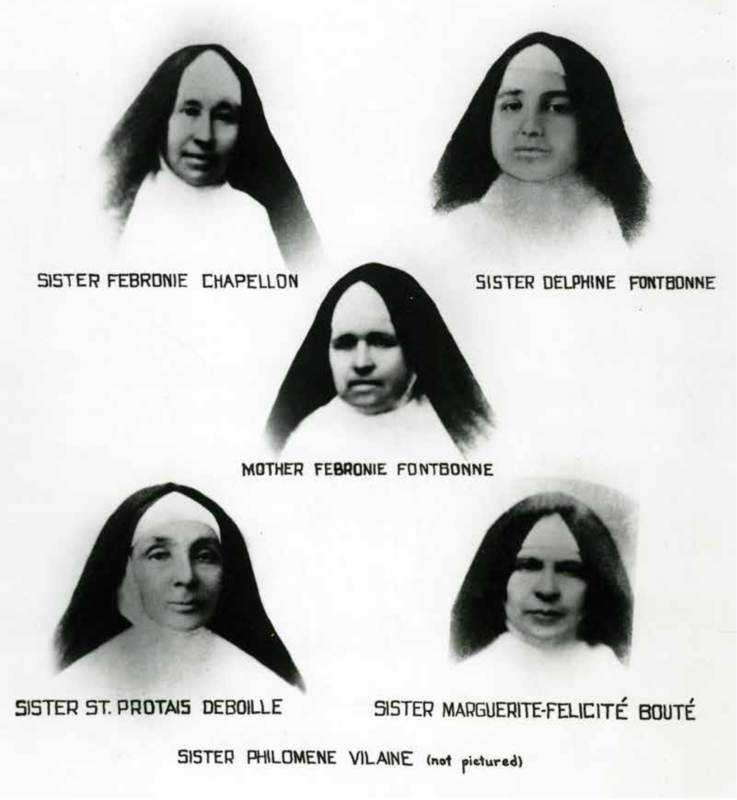 The Sisters ranged in age from 21-31 years. 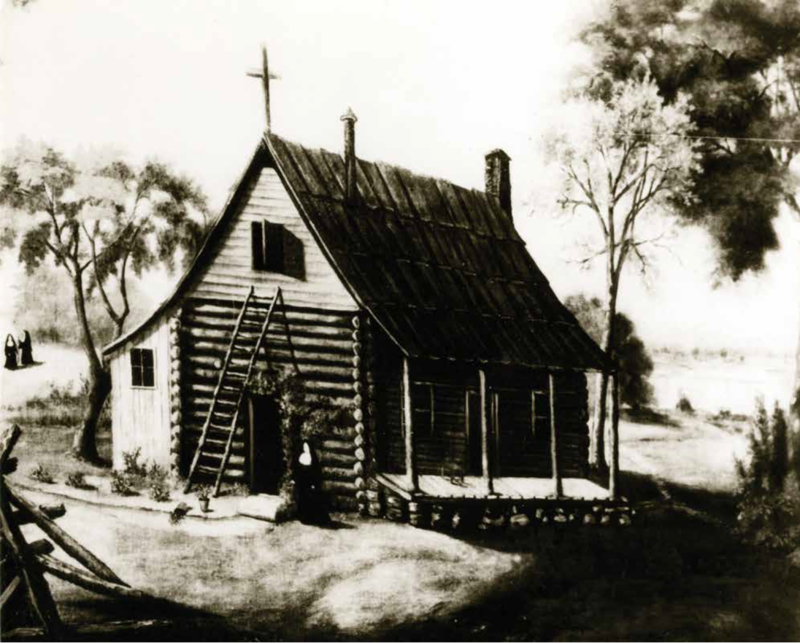 The first CSJ convent school was located south of St. Louis at Carondelet, MO. 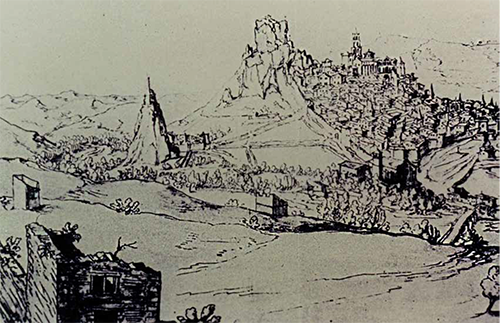 The settlement was also known as Vide Poche (Empty Pocket) because of the great poverty of the settlers. 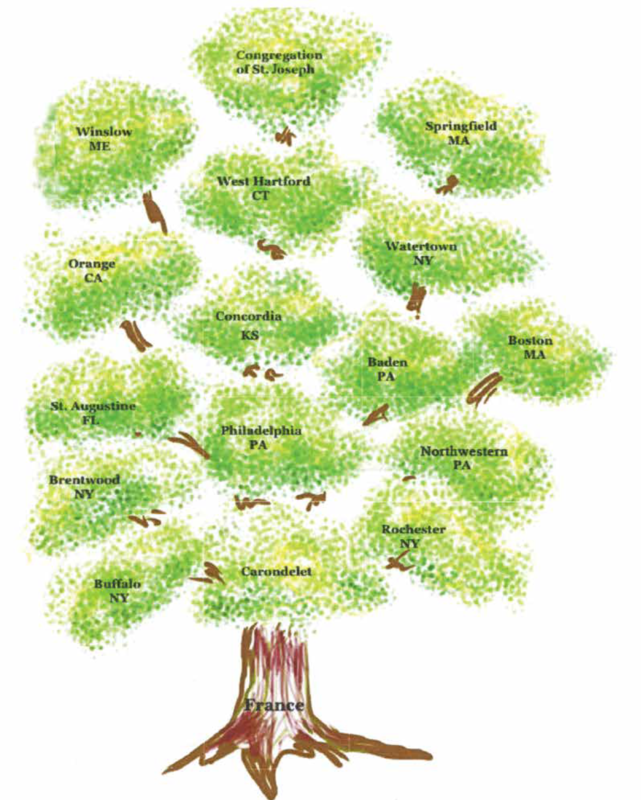 A family tree of communities established in the United States, most with ties to Carondelet, MO. 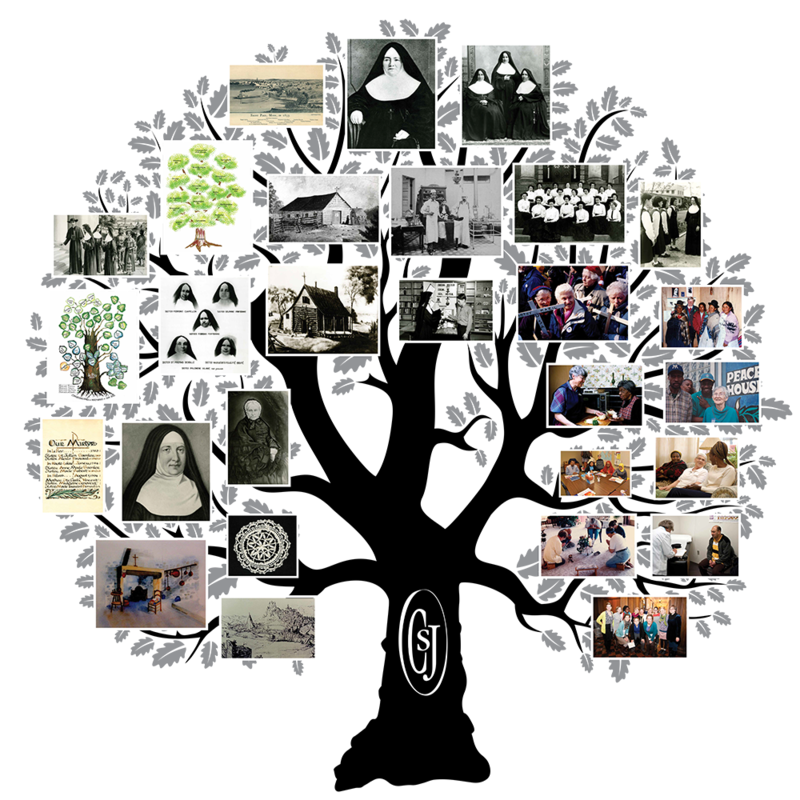 Today 16 congregations are members of the U.S. Federation of the Sisters of St. Joseph. 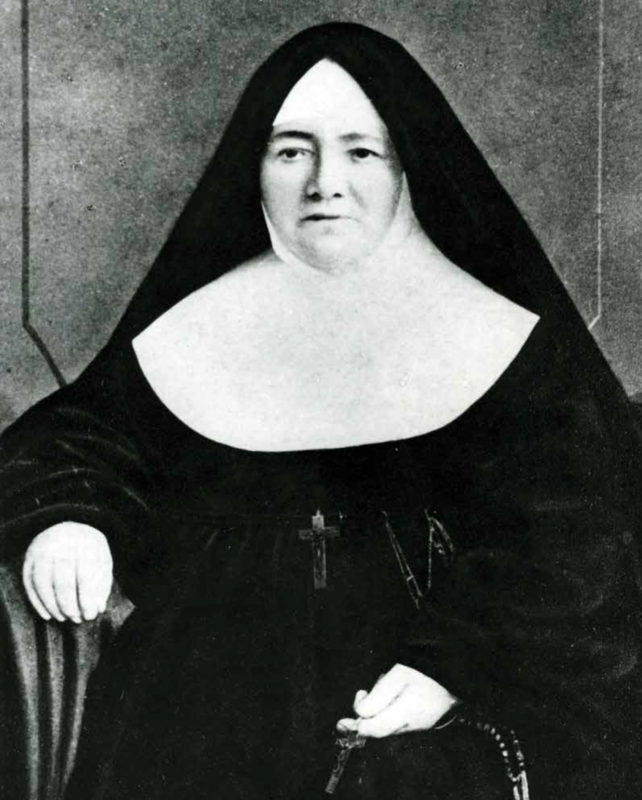 Sister S. John Founrnier, along with Sisters Philomene Vilaine, Scholastica Vasques, and Francis Joseph Ivory traveled from Carondelet, MO , to St. Paul, arriving in the Minnesota Territory on November 3, 1851. The Chapel of St. Paul where the CSJs opened St. Joseph’s Academy one week after their arrival. 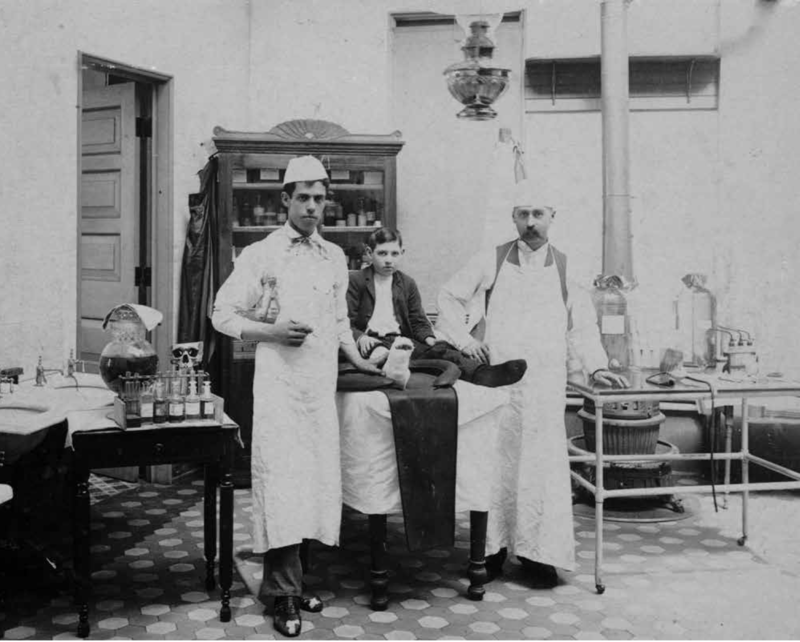 In 1853, in response to a cholera epidemic, the school was converted to St. Joseph’s Hospital, Minnesota’s first hospital. 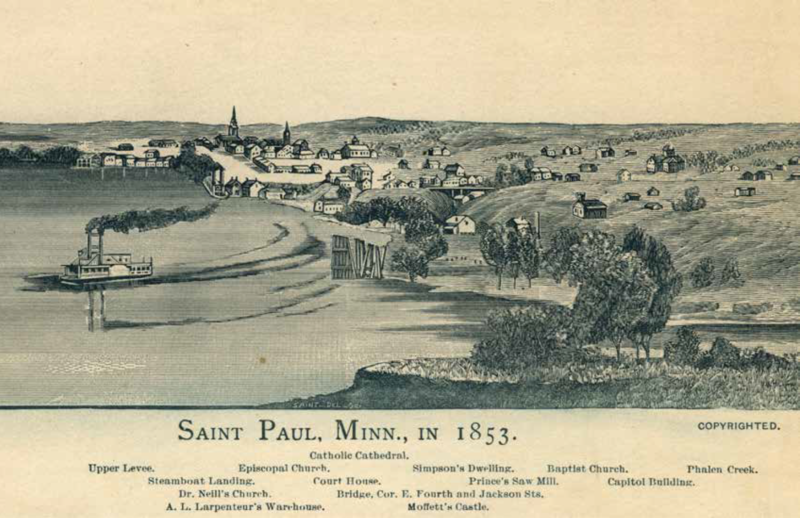 The town of St. Paul as it was depicted in 1853. The area experienced rapid growth in the early 1850s, prior to the Minnesota statehood in 1858. Sisters St. John Ireland (l), Celestine Howard, and Seraphine Ireland, emigrants from Ireland, arrived in St. Paul as children in 1852. 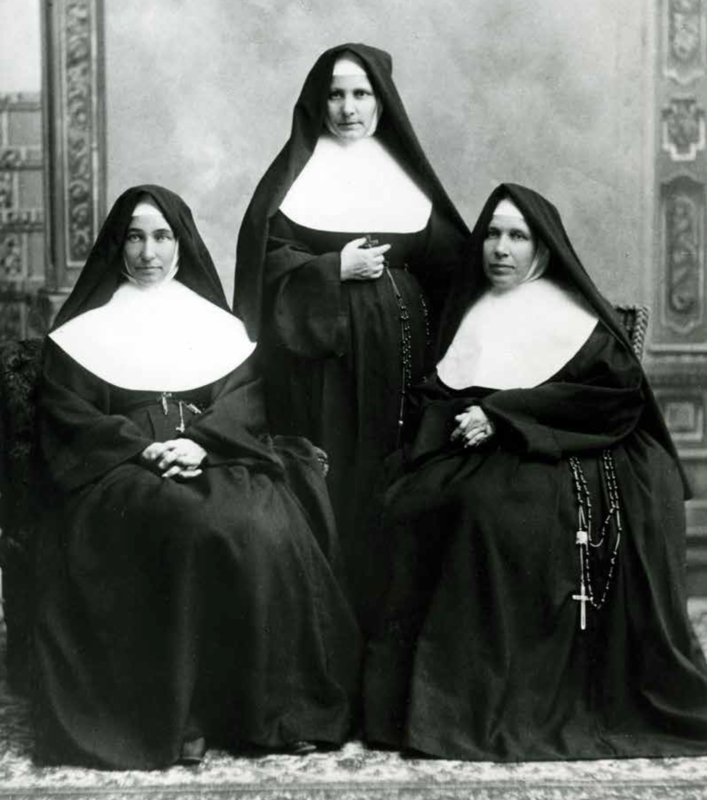 Later, the three worked to establish CSJ schools and hospitals in Minnesota and North Dakota. Students meet at the College of St. Catherine, about 1913. The college, established in 1905, was the first women’s college in Minnesota and was re-named St. Catherine University in 2009. 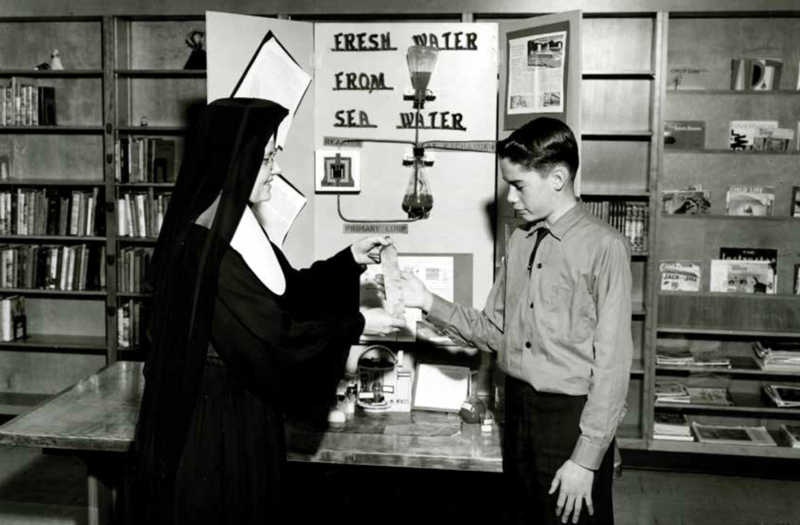 Sister Eugenia Smith teaches at St. Thomas The Apostle Grade School, Minneapolis, in 1961. Like many CSJs, she was a committed and knowledgeable teacher for more than 40 years. 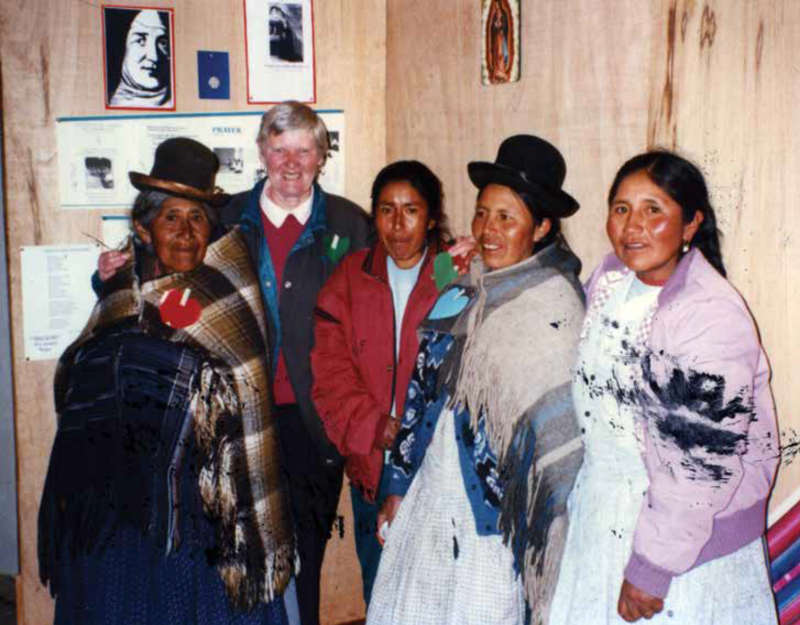 Sister Kathleen Judge’s life and work among the people of Peru involved a variety of different ministries. 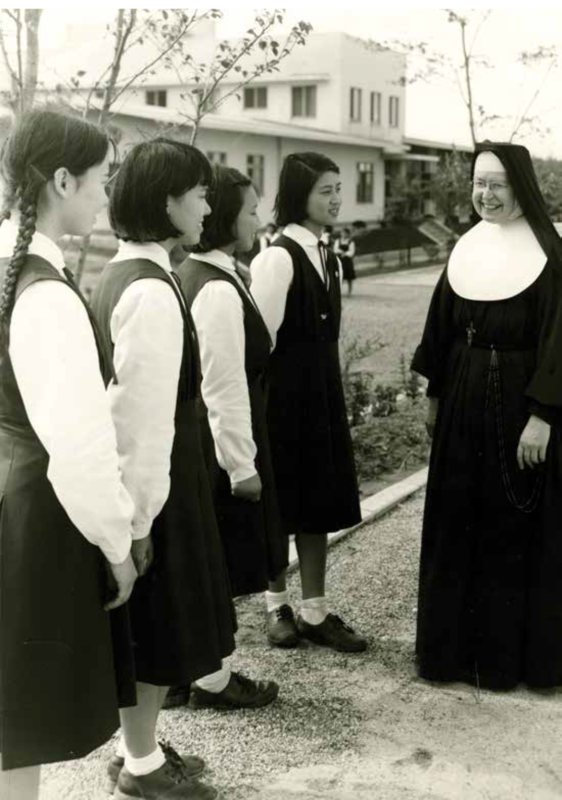 The first CSJs arrived in Lima as missionaries in 1962. 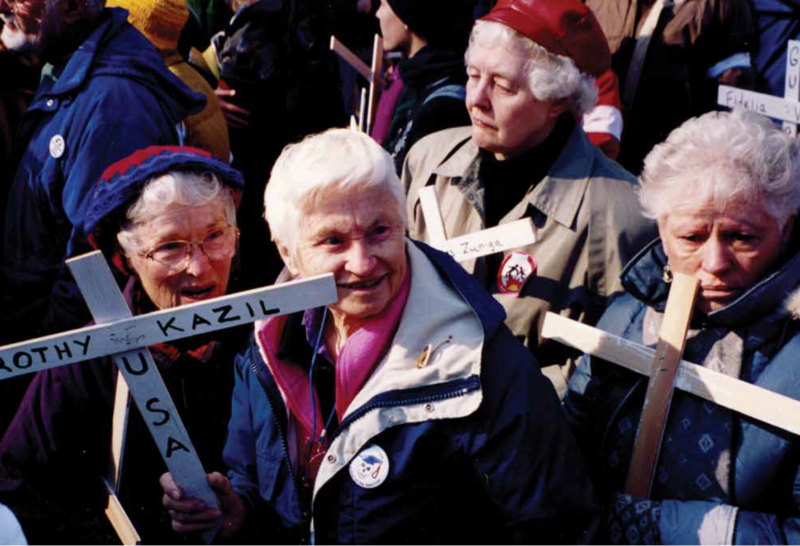 Sisters Kate McDonald (l), Rita Steinhagen, Marguerite Corcoran, and Brigid McDonald demonstrate at the U.S. School of the Americas, in the early 1990s. Some of the Latin American soldiers trained there later waged war against their own people. Sister Rose Tillemans gathers with members of the Peace House community near downtown Minneapolis. 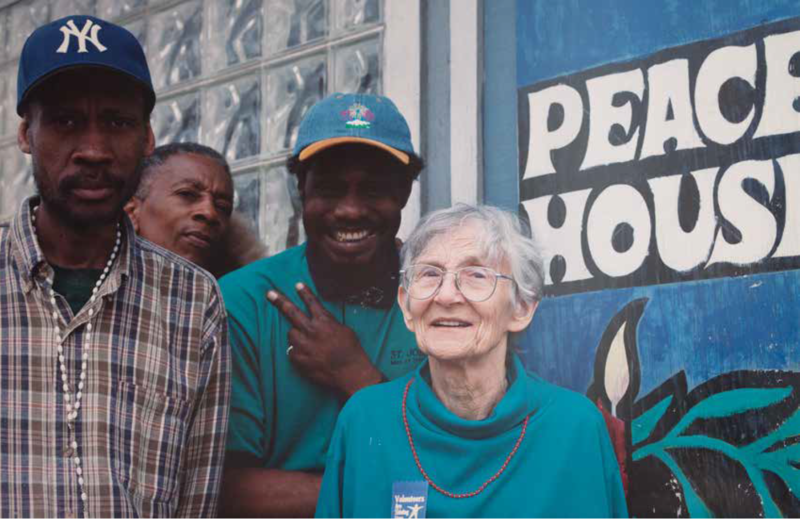 Rose opened Peace House in 1985 as a community center where people living in poverty could talk about their lives, pray, and share a noon meal. 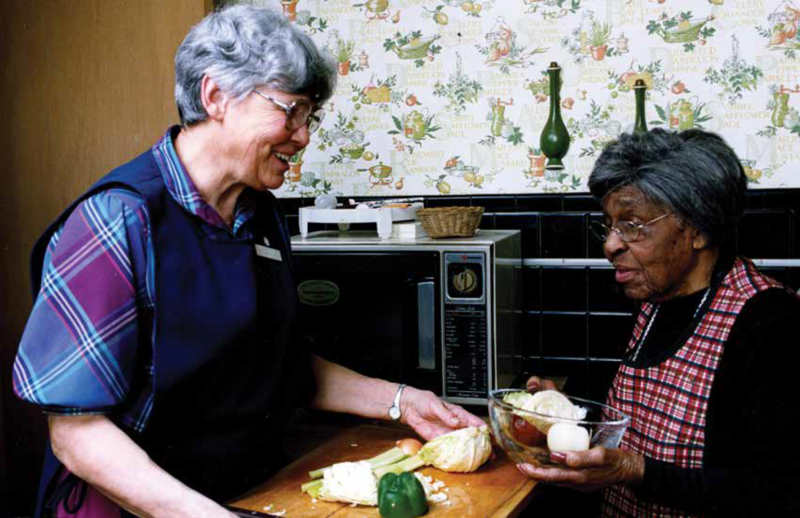 Sister Joan Groschen helps a Sisters Care client in the late 1990s. 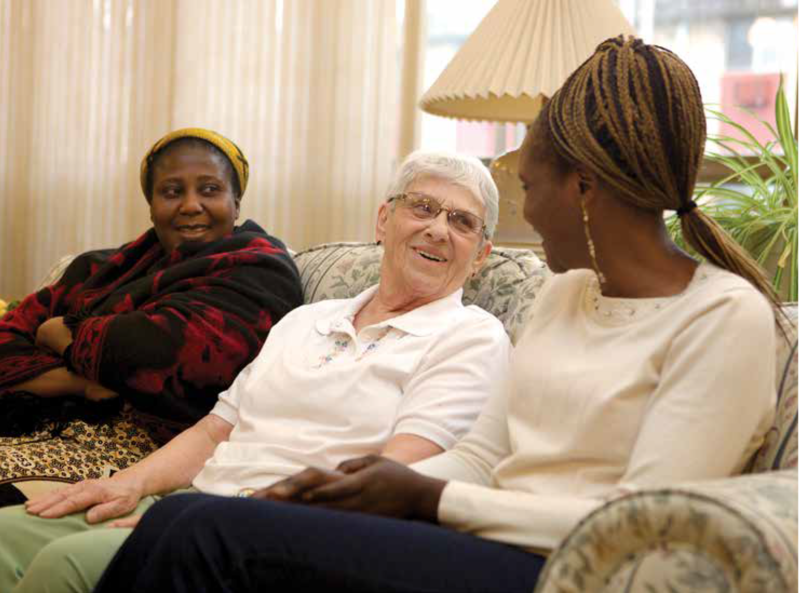 Sisters Care was established in 1987 to provide services so that frail and elderly people could remain in their own homes. 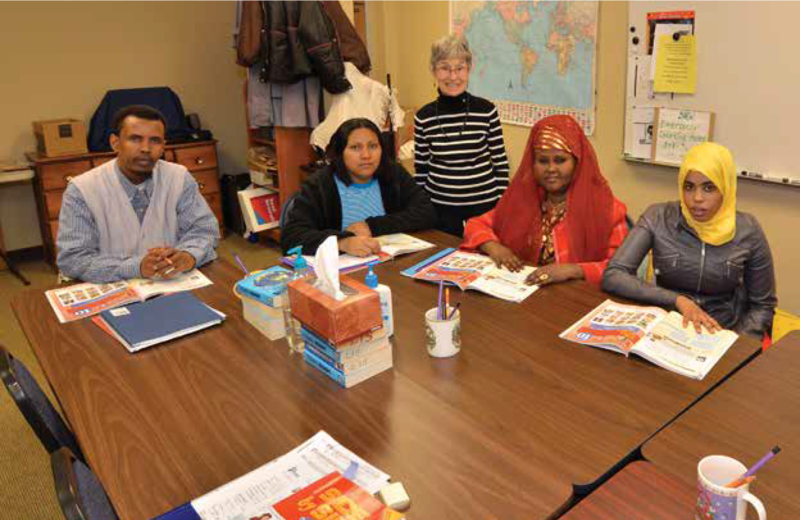 Sister Mary Clare Korb teaches immigrants from around the world at Learning-in-Style, an urban school in Minneapolis. The school has provided basic education, GED preparation, computer literacy, and citizenship instruction since 1994. Sister Susan Smith volunteers at Sarah’s . . . An Oasis for women, in St. Paul. Sarah’s, which opened in 1997, welcomes women, many of them refugees, and provides personal support and access to needed resources. A nurse works with a patient at a St. Mary’s Health Clinic site. The clinics, which operate in the Minneapolis and St. Paul area, were established by the CSJs in 1992 to help meet the healthcare needs of low-income uninsured people. 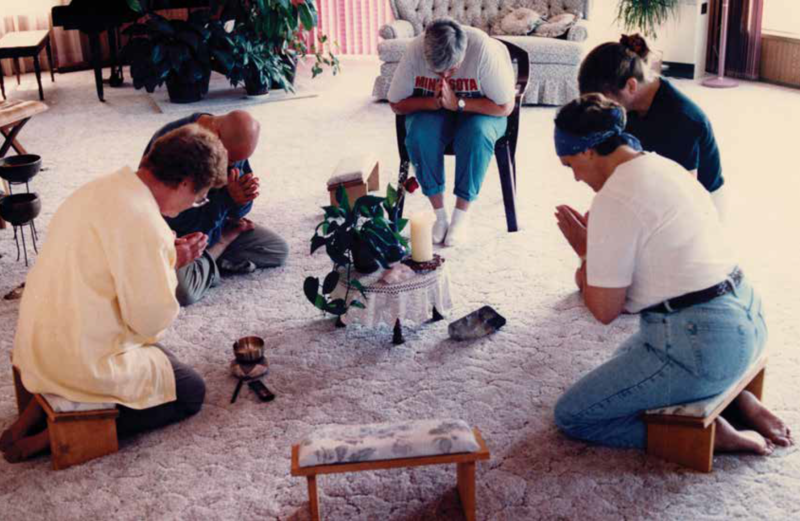 The Dwelling in the Woods, in McGrath, MN, opened in 1989 to provide a contemplative space for people to pray and reflect. Wholesome meals were served to the hermits as part of the retreat experience. 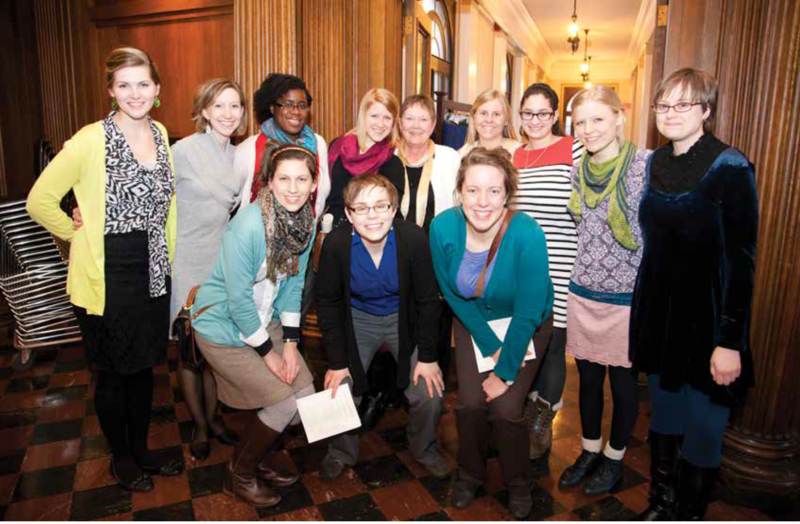 The St. Joseph Workers program offers young women an opportunity to become leaders for societal change while sharing a CSJ life of spirituality and ministry. The program began in 2002.